Producing sound by vibrating in its entirety, the cymbal is the most widely used of idiophone musical instruments. Having evolved into their current form within classical music orchestration, they have become an indispensable high-dynamic rhythm instrument of modern music since the invention of the drum kit. Despite being hard to control perfectly, the sustained nature of their sound has been an on-going inspiration in discovering other ambient rhythm instruments. Outside of classical domain, though, cymbals rarely are played as standalone instruments. You could say that drum kit, along with electric guitar, is the flash and bang instrument that perfectly describes the whole 20th century. A most comprehensive percussive instrument, it is suitable to orchestration in various ways. It is very common for professional players to tune their kits to high, mid and low tones according to harmonic scales, making it fulfill a very important role dynamizing the music through rhythm. Played alone, a well-tuned kit sounds tasteful and rich. The rules to tuning your toms, snare and kick drum are standard and simple. The sound produced by the drum should be consistent within the attack-sustain-decay phases and should as much as possible sound as one note in it entirety − like you would hear a note being played by a piano. In other words, unless specifically chosen to do so for aesthetic purposes, hitting a drum should not produce other notes or unwanted characteristics. Too seldom when drummers are buying cymbals do they check the tune of their cymbals against their drum kit, and when combining several cymbals for their setup they quite often do not pay enough attention to the harmonic unity of the instruments. The unfortunate outcome is lack of unity and musicality in the setup. We believe that cymbals do not get the value they deserve due to lack of definition or description of their nature, often caused by the cymbal producers themselves not having sufficient information or knowledge to assess and offer in the first place. This is accentuated by the culture of making easy money by using drummers and their talents to define the quality and/or popularity of the cymbals. Ride: The tonality from bell to the edge should be in unity and in tune. 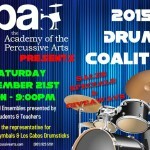 The cymbal should be able to pass the same test you would apply when testing the tuning of your snare. The volume balance should be preserved by the lathing smith, taking into consideration the fact the cymbal needs to acoustically fit a drum kit. 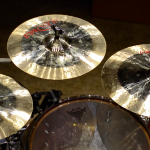 Hi-Hat: The rules described for rides should apply to both top and bottom cymbals of a hi-hat pair. Individually and together they should form an harmonic entity when played. Crash and Splash: Explosion of the attack, tonal consistency in the sound and the speed in which the sound spreads are very important. Good crashes should have consistent attack, sustain, and decay phases and throughout it all should project a harmonically tuned note. China and Gong: The same basic rules applied to crashes apply to these instruments as well, only the characteristics of the attack and decay values are proportional to the cymbal type. In other words, the person controlling the manufacturing process should be a consumer of the products in order to understand the applications better. That is, a musician. 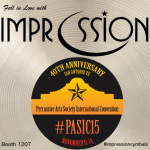 At Impression Cymbals our team is well experienced and ready to make musical cymbals. We do not feel the need to hide behind marketing speech or show tricks to prove our quality. Our products are by choice defined within the frames of musicality and music theory, and we have the confidence to demonstrate this over and over again.